The month of September was full of meetings and research as our office works through the interim in preparation for next year’s session. The committees I serve on have been busy this summer and fall conducting interim study hearings. Interim study resolutions are introduced during the legislative session and authorize a committee to study an issue following adjournment of a legislative session. Some include a public hearing to gather information and data from stakeholders and members of the public. This summer, I had four resolutions discussed across three public hearings in the Urban Affairs and Judiciary committees. This newsletter also welcomes the newest member of our office, Ms. Keenan Roberson. Happy Fall! On August 28th, the Urban Affairs Committee met in Omaha at the Lied Life Center to hold a hearing on LR 392, which examines neighborhood issues and potential neighborhood improvement tools. We heard from various city officials and neighborhood associations as they gave input on what they believe can be done to improve the areas in which they live. 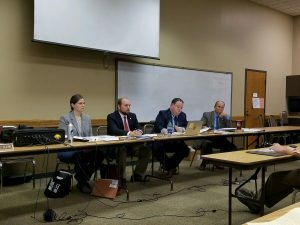 Finally, the Urban Affairs Committee traveled to Grand Island and Ord on September 25th to hear LR 433, among other issues. LR 433 examines existing and potential methods for cities to provide more affordable housing in their communities. I thank all of the city officials and advocates who traveled to help us figure out how to address the shortage of affordable housing, especially for those who are renters. 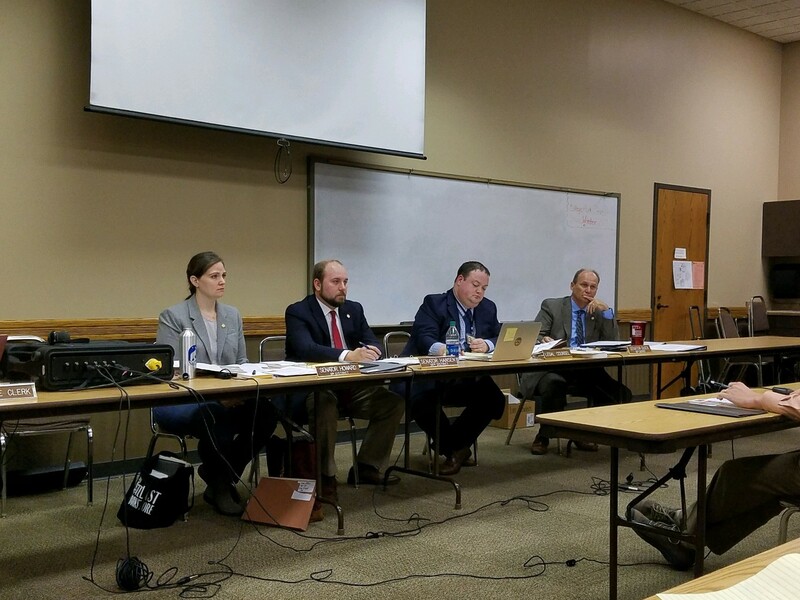 From left to right: Senator Sara Howard, Senator Matt Hansen, Legal Counsel for the Urban Affairs Committee, Trevor Fitzgerald, and Senator Dan Quick hearing testimony on Urban Affairs in Grand Island, NE. On September 7th, the Judiciary Committee met at the Capitol to hear both LR 370 and LR 415. I introduced LR 370 as a means of examining the long-term and short-term effects of housing inmates with mental health needs in county facilities, where the resources to address their needs are often lacking. LR 415 is meant to assess the effectiveness of section 29-901 of the Nebraska Revised Statutes, as it relates to the imposition of bail and the requiring of money bonds for misdemeanors and city ordinance violations. It looked at whether our cash bond system needs reform, especially for indigent pretrial detainees, and if there are other safe, lower cost alternatives. If you have any questions or would like more information on any of these interim studies, don’t hesitate to contact my office. I look forward to using the results of these studies and hearings to shape legislation I introduce next session. On Thursday, September 27th, I joined other senators on the Judiciary Committee to tour the Douglas County Corrections Center, the Douglas County Health Center, and the Community Mental Health Center. It was helpful to see these facilities up close and visit with staff about their operations and about ideas we could bring to Lancaster County. Thank you to the Douglas County Board of Directors and their staff for hosting us and organizing the day. Welcome to our New Administrative Assistant Keenan! I am happy to welcome Keenan Roberson to my office, who will serve as my new Administrative Assistant. My previous AA Sarah has moved on to a Legislative Aide position in another office and we couldn’t be more happy for her. Keenan, a lifelong Lincolnite, just returned after graduating law school at Pepperdine University in Malibu, California. 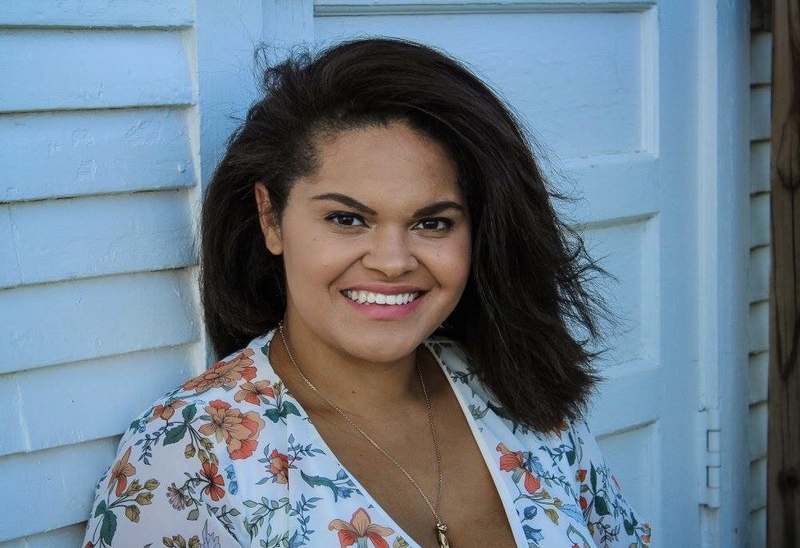 Keenan is the daughter of Senator Bolz’s Legislative Aide, Tami Soper. She’s a Creighton University Alum and an avid traveller. Welcome Keenan!